Infinite is a Responsive, One Column, Minimal and Magazine Blogger Template. Infinite is highly optimized for both mobile and desktop platforms. 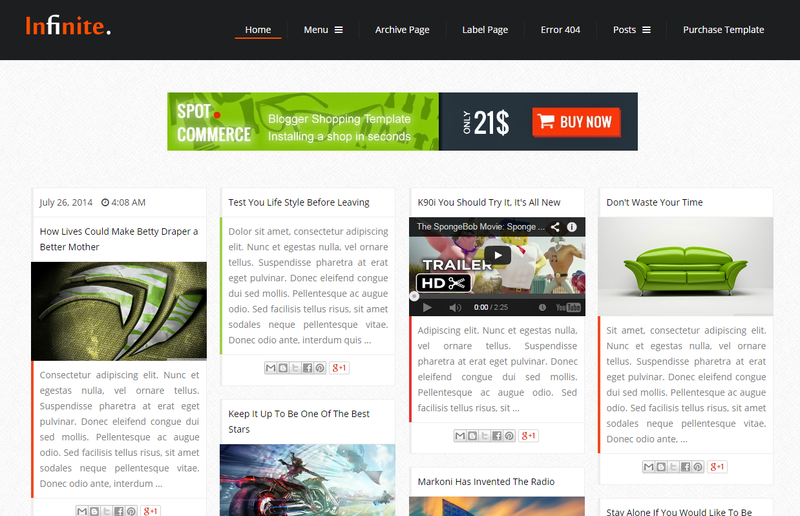 The layout also will encourage your viewers to read all of your content and get all attention it deserves.